Toddler Lapsit is offered free for children 2 to 3 1/2 years old accompanied by a parent or guardian. The purpose of this program is to provide children with an introduction to the library. Registration begins January 1 for Session 1, Session 2, and for Session 3. 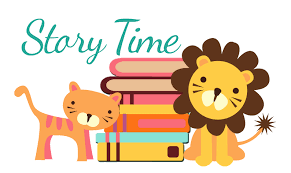 Pre-school Storytime is offered free for children who are independent listeners, 3 1/2 to 5 years old. 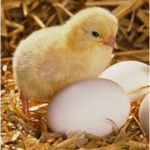 Children enjoy songs, puppets, crafts and of course, STORIES! Registration begins January 1 for Session 1, Session 2, and Session 3. Parents and caregivers! On behalf of the 1,000 Books Foundation and the Roseville Public Library, we challenge you to participate in this FREE program which encourages you to read 1,000 books with your child before he or she starts kindergarten. Why is reading so important? Books help children develop language abilities, enhance social skills and enrich lives, plus reading is fun! The concept is simple, the rewards are priceless. Read a book (any book) to your newborn, infant, and/or toddler. 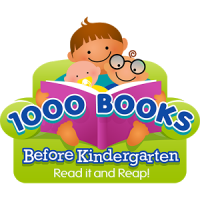 The goal is to have read 1,000 books before your child starts kindergarten. Does it sound hard? Not really if you think about it. If you read just 1 book a night, you will have read about 365 books in a year. That is 730 books in two years and 1,095 books in three years. If you consider that most children start kindergarten at around 5 years of age, you have more time than you think, so get started! Pick up Program Instructions and Reading Tips, a suggested reading list and a spiral notebook to record your books (we have 150 to give away) from the Youth Services Department.